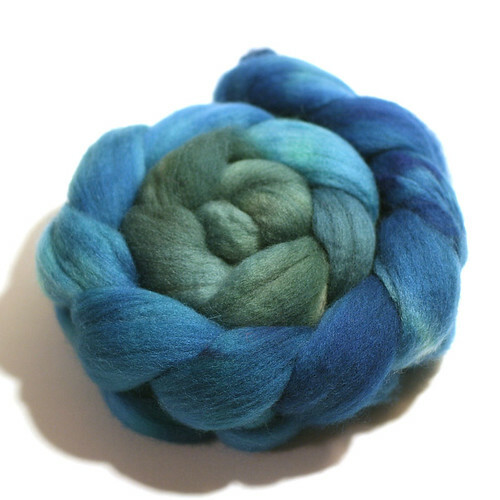 I create hand-dyed yarns and spinning fibers. 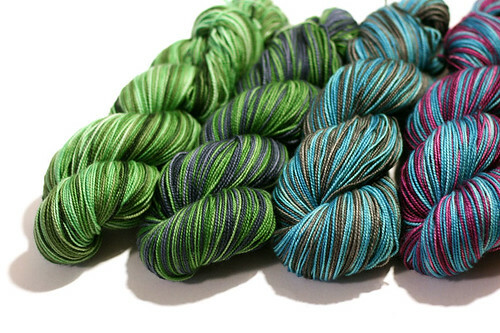 My focus is largely self-striping yarns and gradient-dyed fibers, but I also create a number of tonal, semi-solid and variegated colorways. I also design knitwear patterns. I’m an avid knitter and spinner, and I’ve always loved working with unique yarns and fibers, especially those created by indie artists. After working with other people’s yarns and fibers for so long, it seemed a natural progression for me to try my hand at creating my own. Once I did, I loved the process, and it has taken on a life of its own! I’ve always loved making something beautiful out of something ordinary. It remains magical to me to watch plain, natural-colored fibers transform before my eyes to become beautiful and vibrantly-colored ones. I especially enjoy playing with different fibers and seeing how they each go through the transformation a little bit differently, sometimes producing stunningly varied end products. While the interplay between color and texture makes me giddy, I’d have to say that I am most inspired by potential. 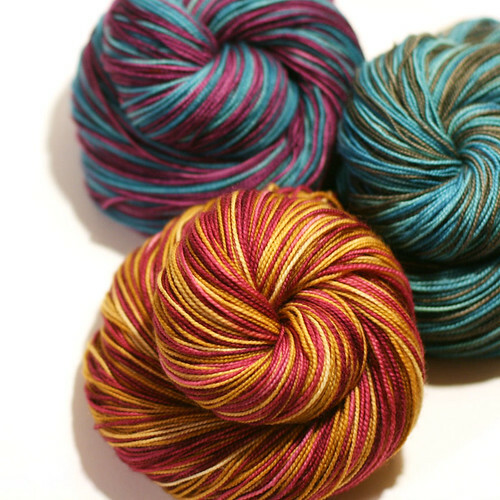 I’m always asking myself the question, “What if I…?” The question applies to creating new colorways, mixing dyes to create the perfect colors, dreaming up new striping patterns, or designing a pattern to match the image in my mind. I just love to play with the possibilities, address challenges in the process and see what results. We are a homeschooling family with two high school aged teens. Part of my motivation for starting Fibernymph Dye Works was so that it could be something they could be involved in, both to earn a little extra cash and to gain first-hand experience in what it means to run a business. The dyeing responsibilities are mine, but the kids take part in many of the behind-the-scenes jobs including skeining and reskeining yarn (invaluable to me!) and helping process orders for shipping, as well as some of the fun things like coming up with colorway names and putting together the goodie bags I send out with online orders. For my husband’s part, he pitches in wherever needed when I’m in a pinch, and there have been several nights when he’s been more than gracious about coming home to a kitchen full of wet yarn and pizza delivery for dinner (again). 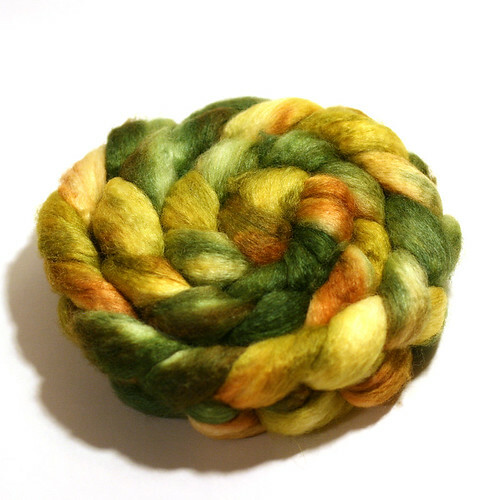 What is your fiber arts superpower? Accommodating custom orders. 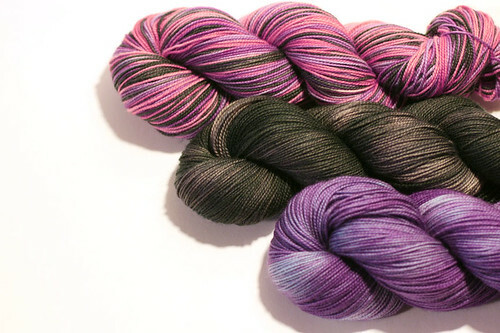 I’ve dyed yarn to match some interesting things!